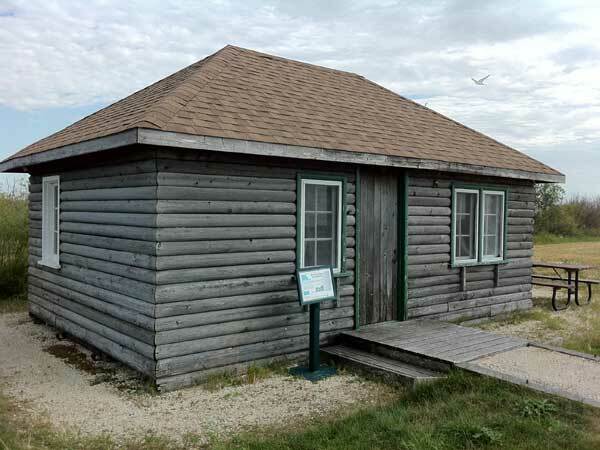 This building near the Interpretive Centre at Oak Hammock Marsh, in the Rural Municipality of Rockwood, was once the ranger’s cabin at the Big Grass Marsh headquarters of Ducks Unlimited Canada, near Langruth. 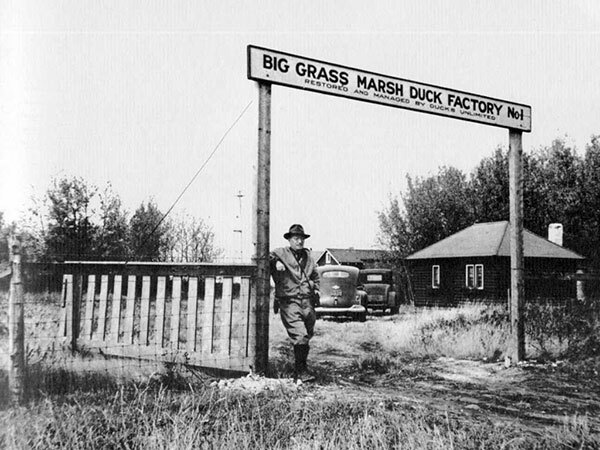 Big Grass was the site of the first DU project in Canada—a major wetland conservation project that was undertaken in 1938 with the goal of restoring and managing former breeding areas and increasing waterfowl production. 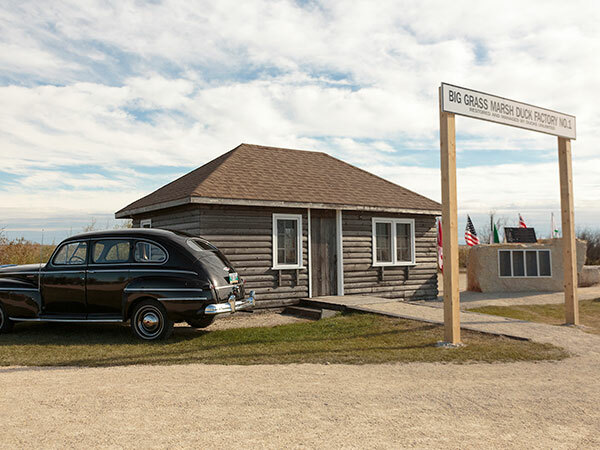 It was moved to its present site around 2000, after a Ducks Unlimited executive located it on a farm near Big Grass Marsh. It was restored by volunteers. Ducks and Men: Forty Years of Co-operation in Conservation by William G. Leitch, Winnipeg: Ducks Unlimited Canada, 1978. We thank Rick Wishart, Gary Garrioch, Don Sexton, Jeope Wolfe, and Dale Wrubleski for providing information used here.